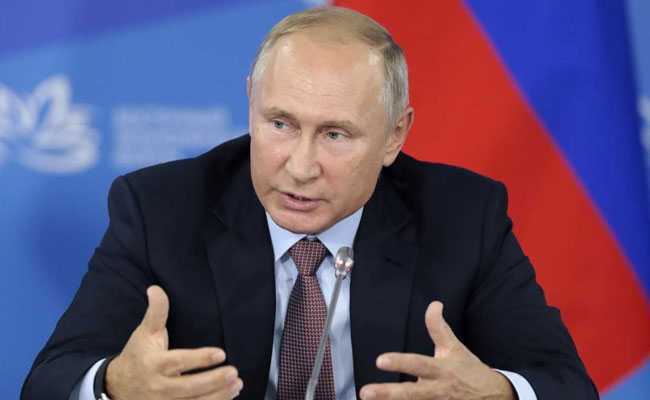 Russians will "go to heaven" as martyrs in the event of nuclear war because Moscow will only ever use nuclear weapons in retaliation, President Vladimir Putin said Thursday. "The aggressor will have to understand that retaliation is inevitable, that it will be destroyed and that we, as victims of aggression, as martyrs, will go to heaven. "They will simply die because they won't even have time to repent," he said to some laughter from the audience. Putin last year unveiled "invincible" new weapons that would render Western missile defence systems obsolete.